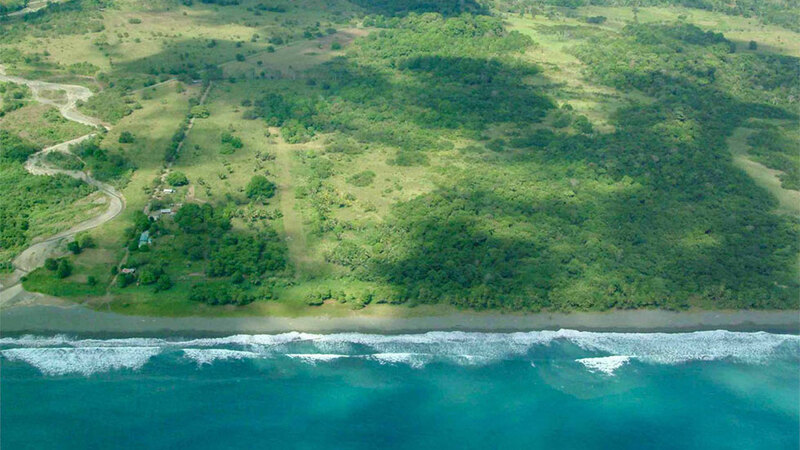 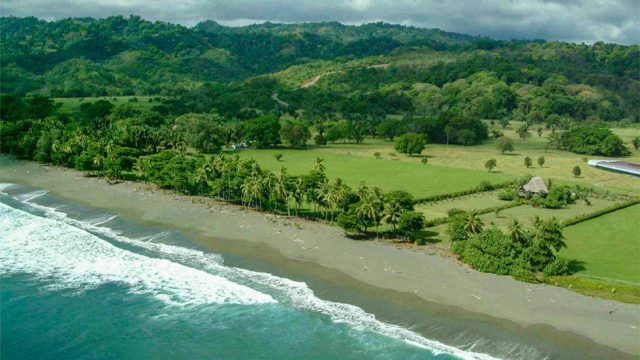 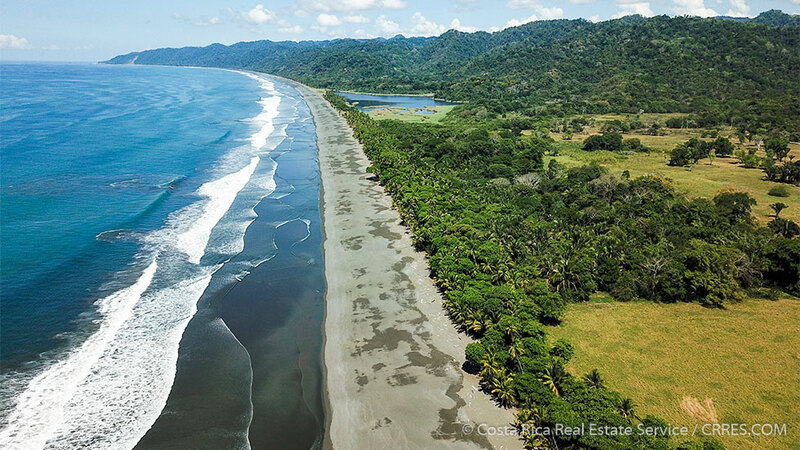 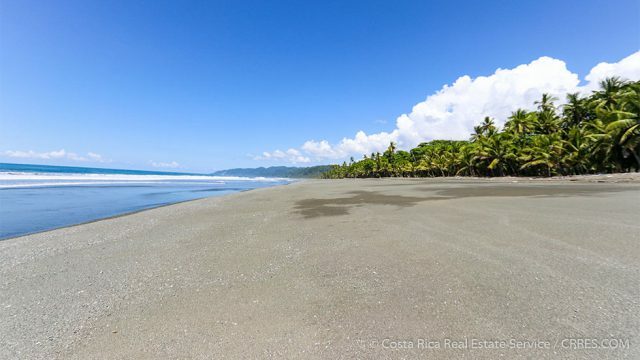 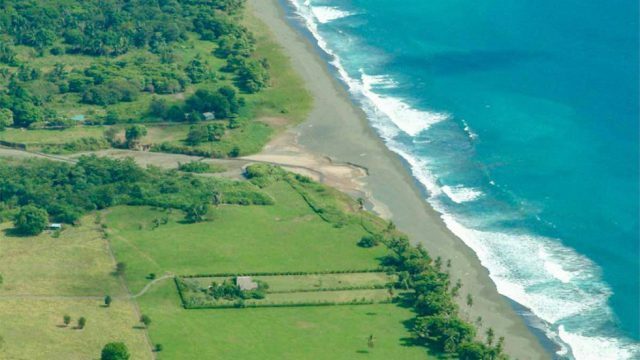 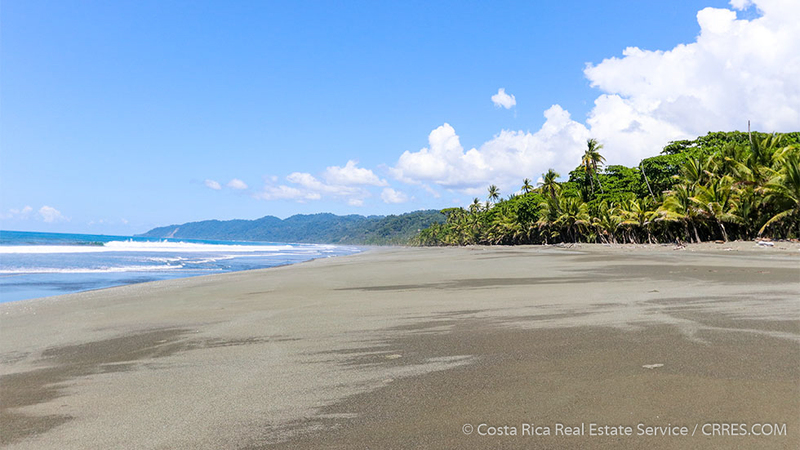 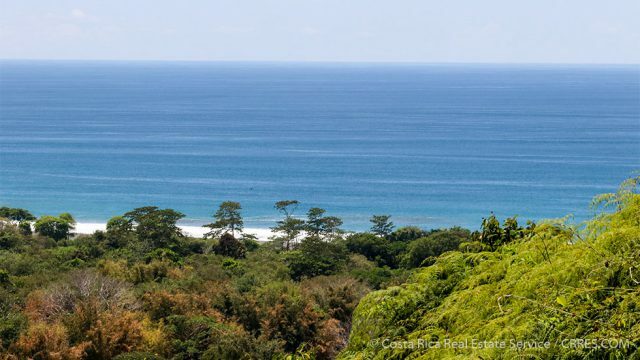 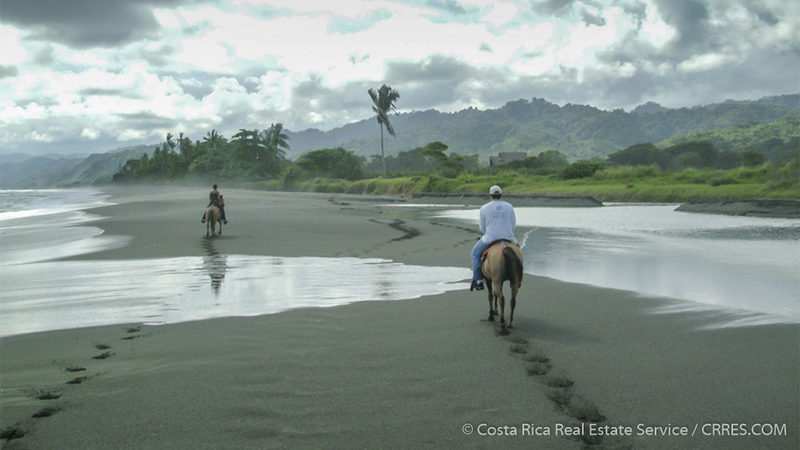 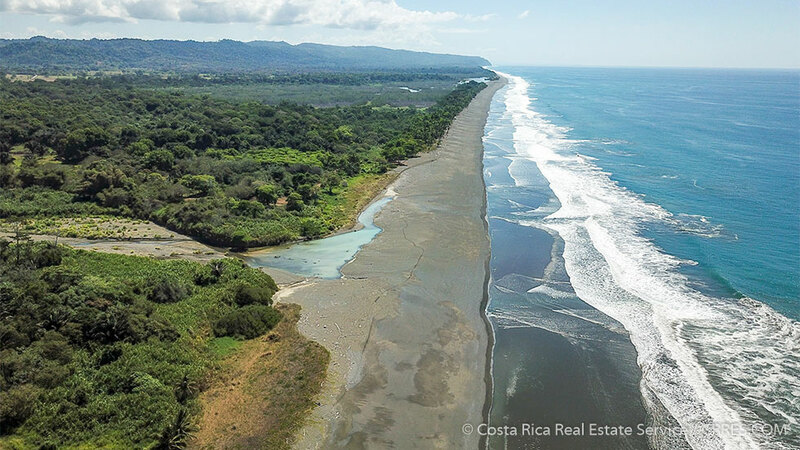 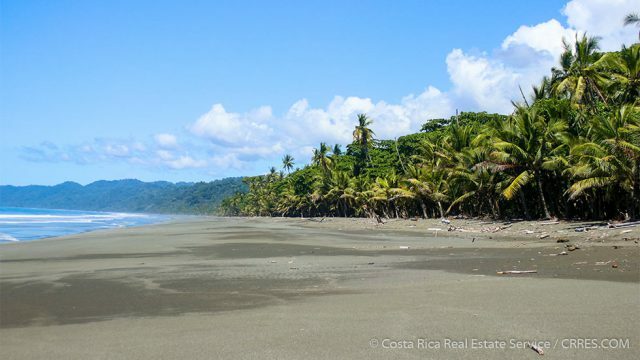 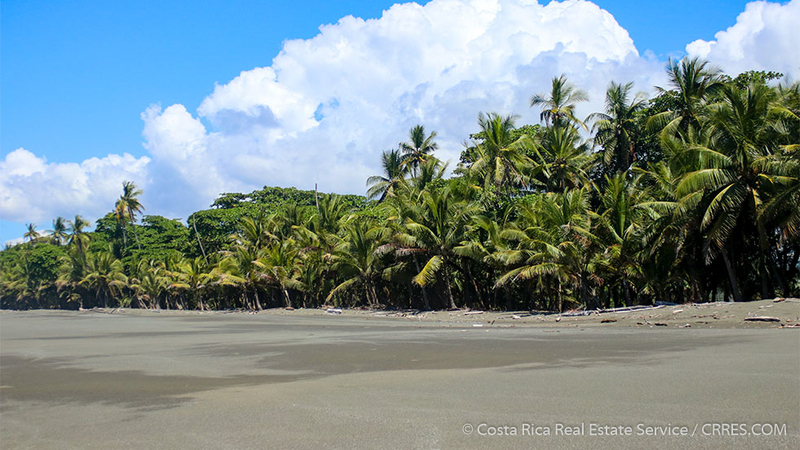 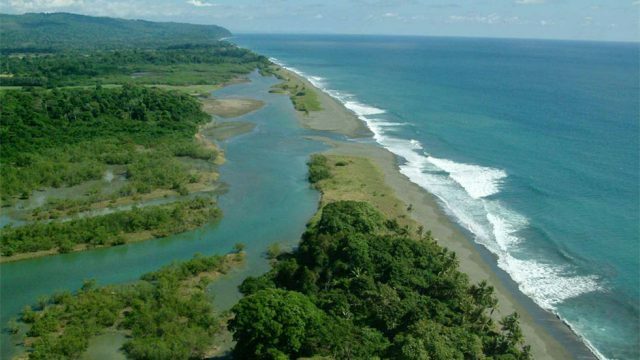 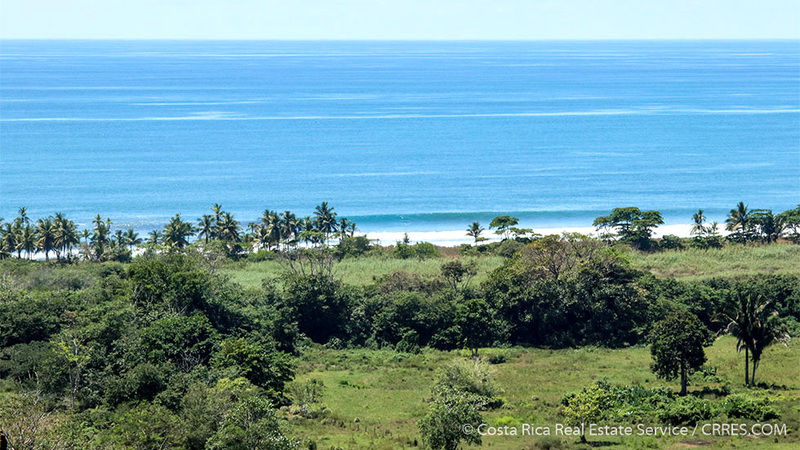 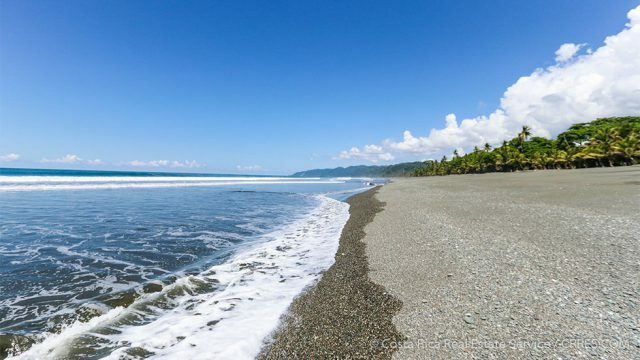 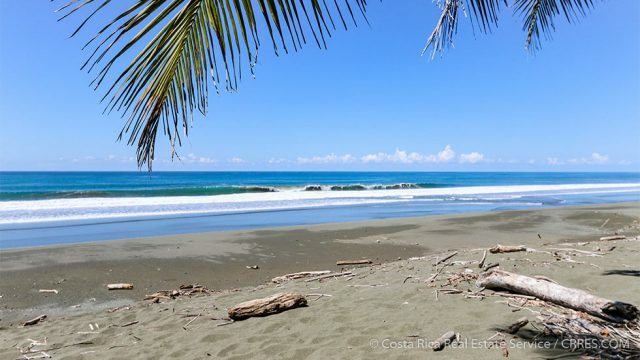 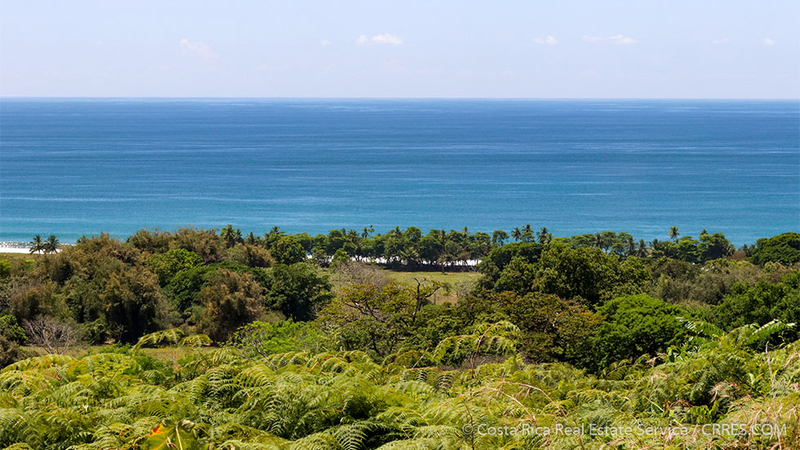 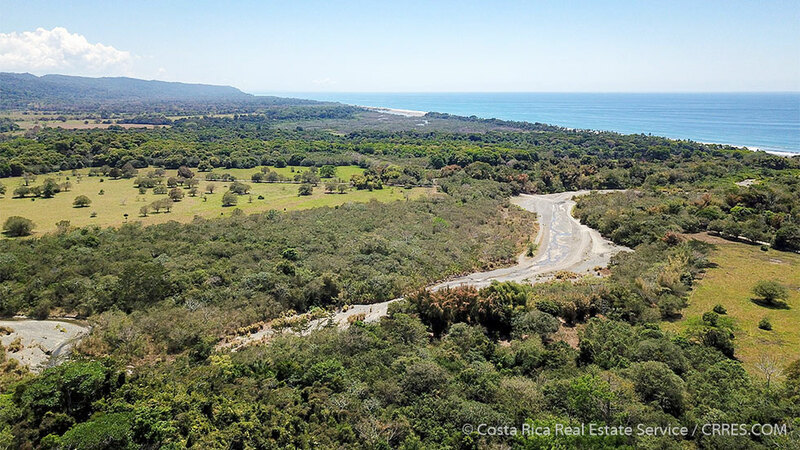 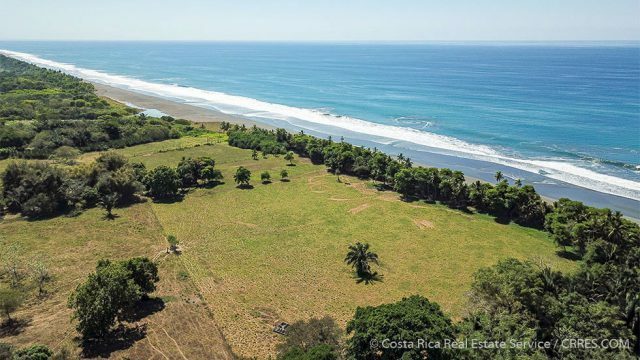 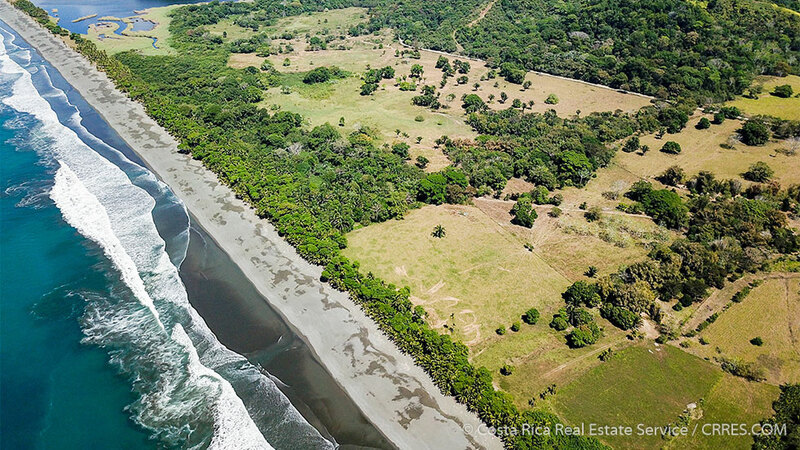 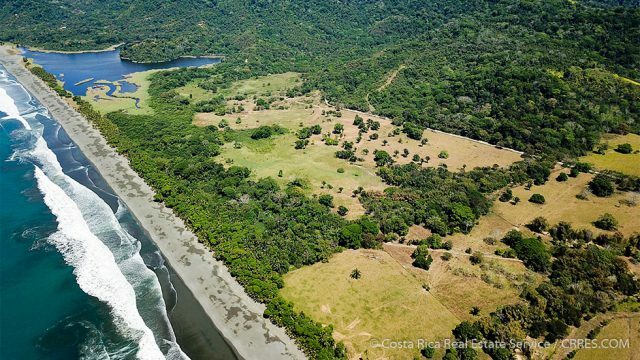 Costa Rica Real Estate Service presents what we consider to be the finest beachfront property for sale in Costa Rica. 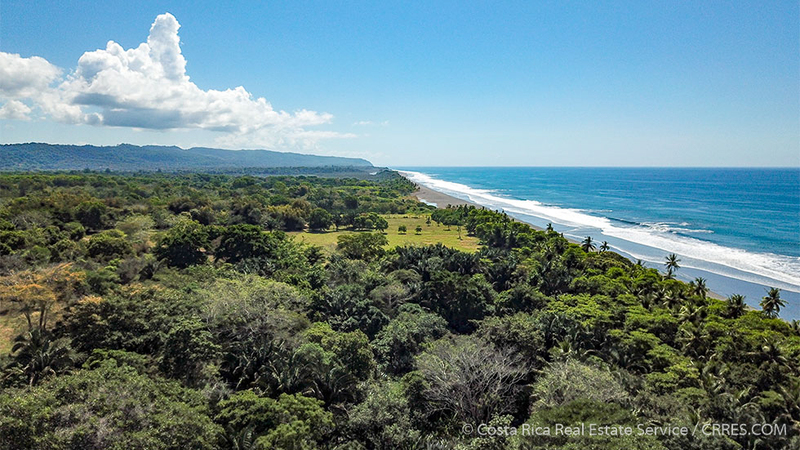 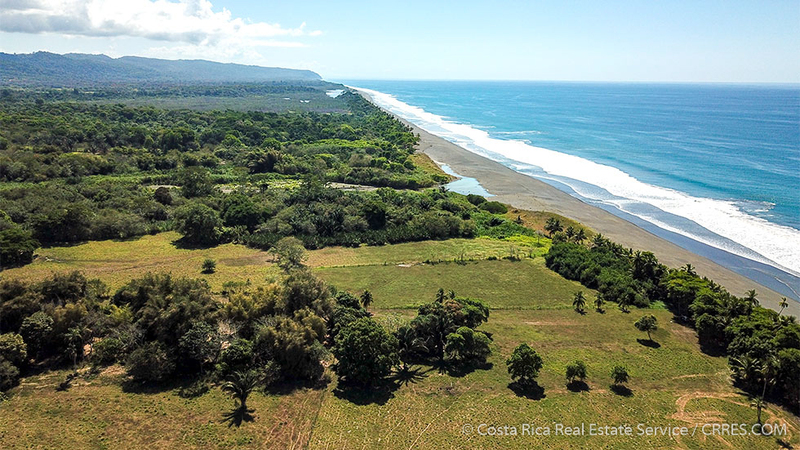 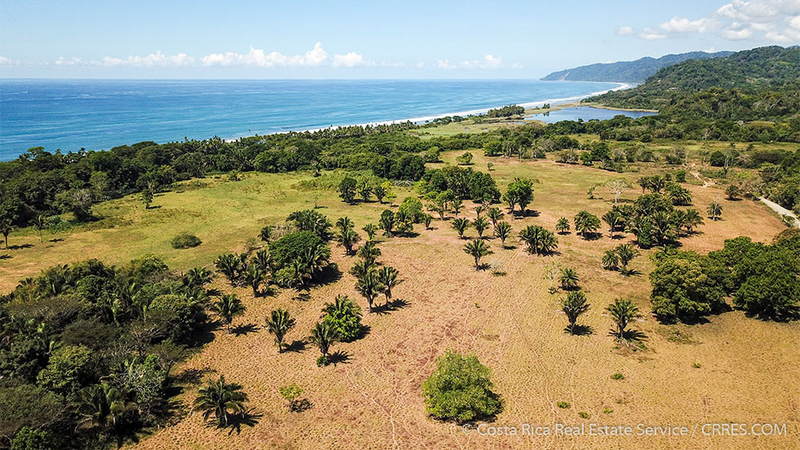 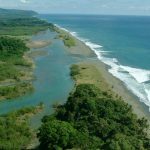 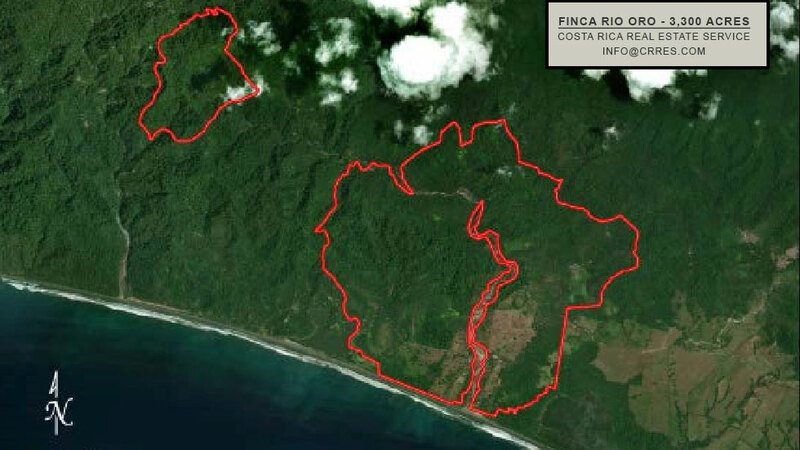 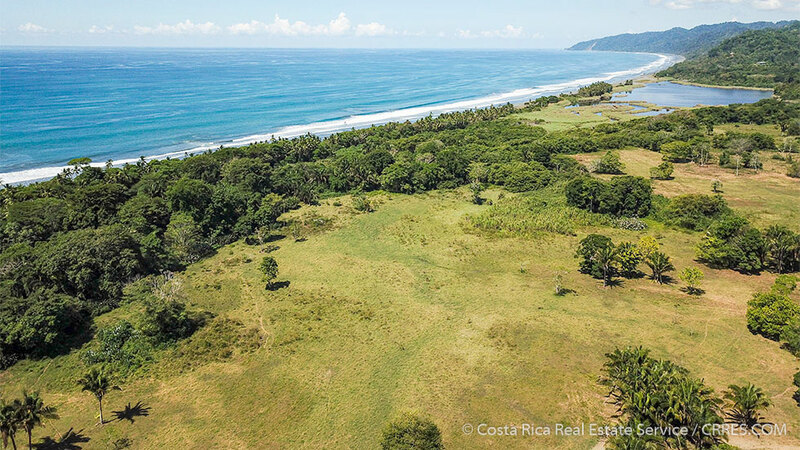 Finca Rio Oro is located on the Pacific Coast of the Osa Peninsula and boasts 3,300 acres highlighted with over 1 mile of pristine beachfront. 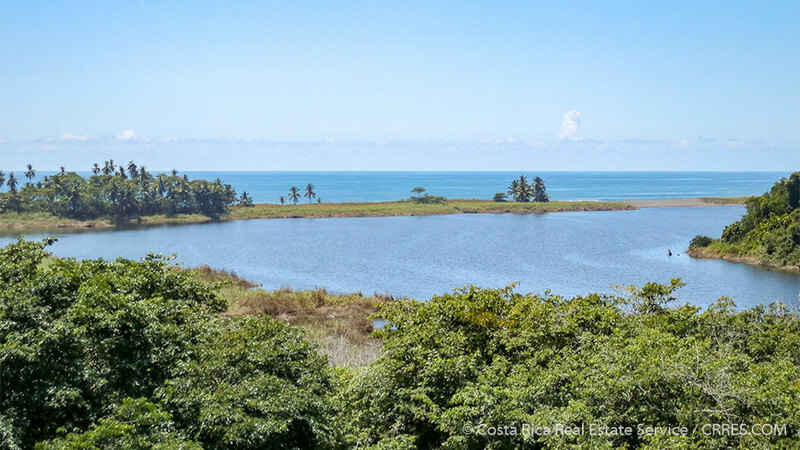 Nestled between a large freshwater lagoon to the north and a river estuary to the south, this beach is extremely private and is accessible only via the property or by boat. 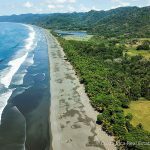 With palm-lined shores, colorful scarlet macaws flying through the air, warm water, and soft sand that stretches for miles without a footprint to be seen, if you were to picture the perfect tropical beach, this is exactly the place you would imagine in your mind’s eye. 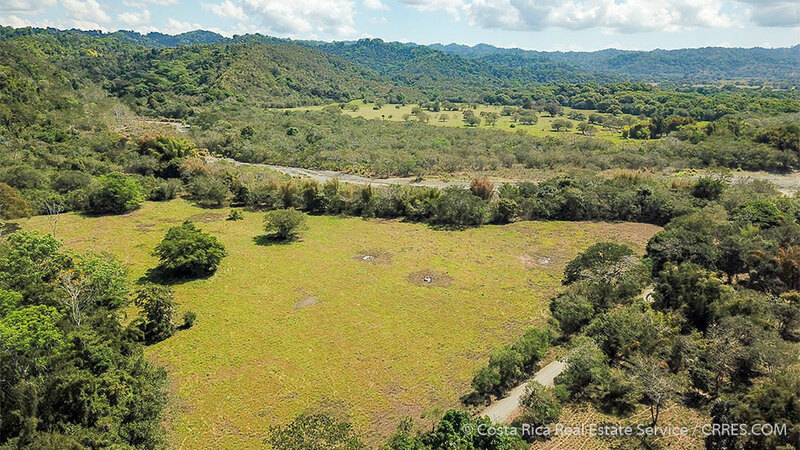 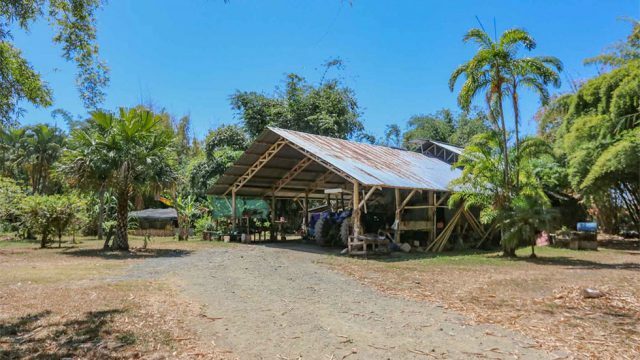 The plan for this property was simple but audacious: Buy out the various landowners to unite both sides of the Rio Oro (Gold River) into one protected estate. After years of effort, all claims to the property have been settled and “everything is up to American standards of legality.” The property is now 3,300 acres, approximately 5 miles wide and 6 miles long. 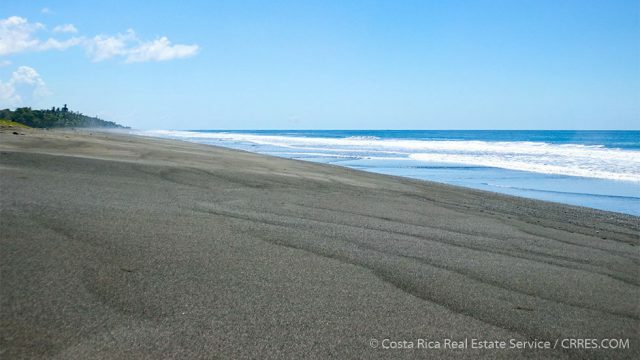 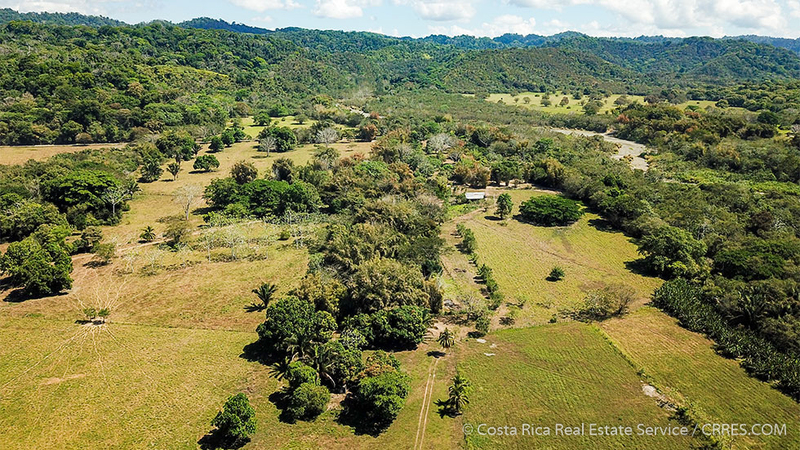 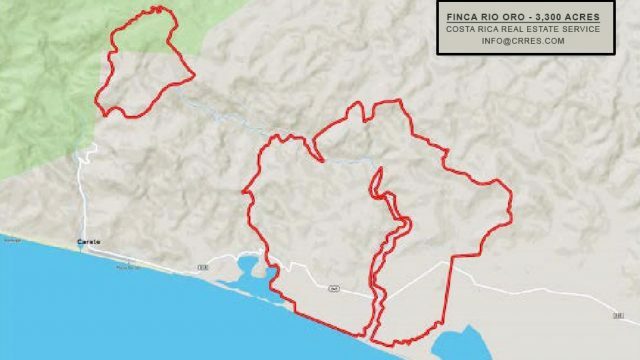 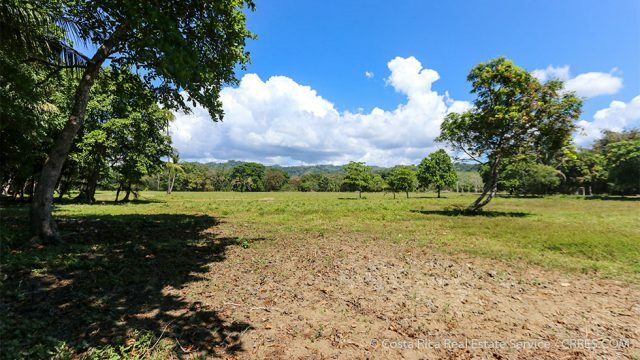 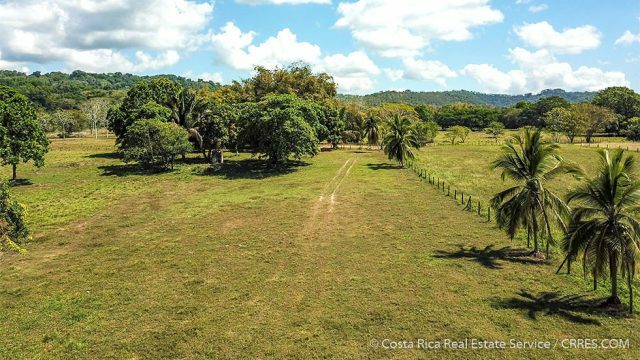 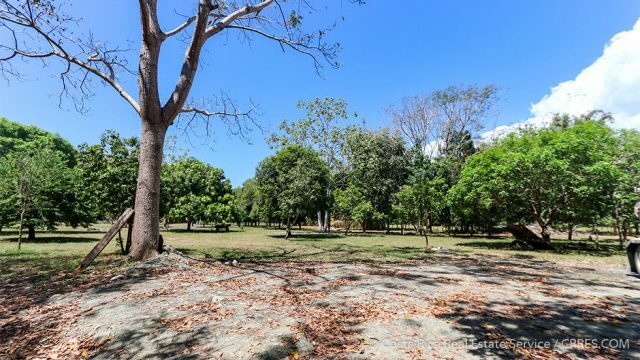 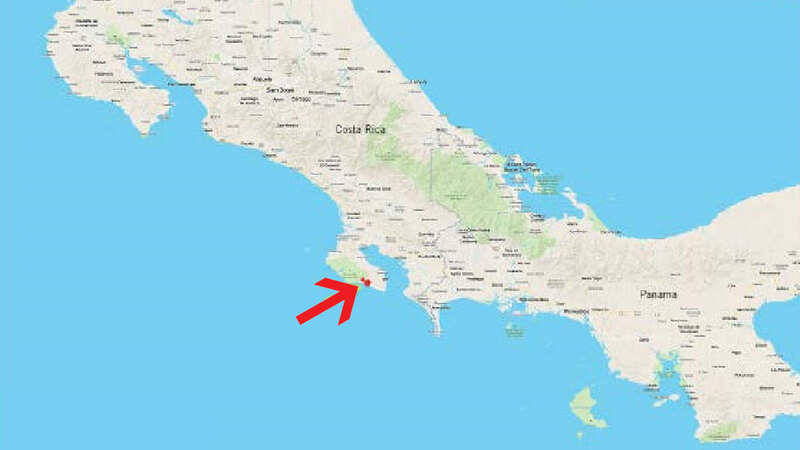 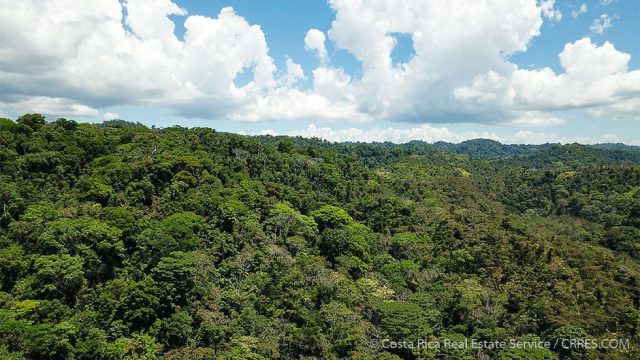 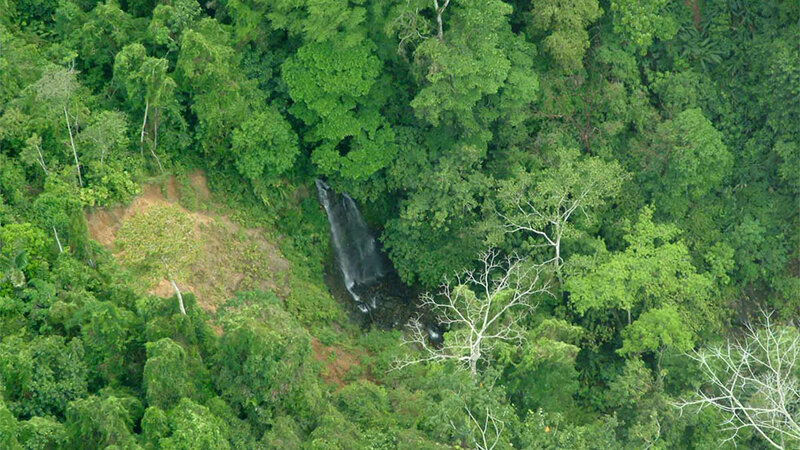 Unlike many other properties located in this specific area of Costa Rica, full and clear title on the land can be transferred without dispute. 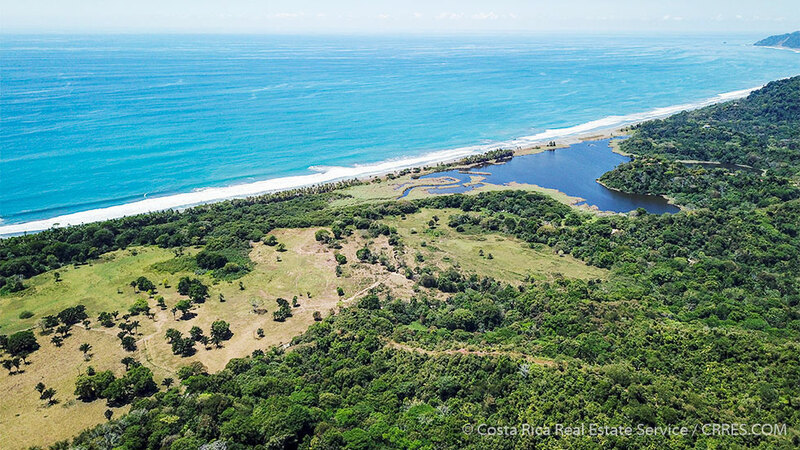 The value of this is tremendous, especially on a premier beachfront land parcel of this size. According to Wikipedia, the Osa Peninsula is the “largest primary forest on the American Pacific coastline and one of the few remaining sizeable areas of lowland tropical rainforests in the world.” More than 700 species of trees, 463 species of birds, 140 mammals, and 25 species of dolphins and whales can be found here. 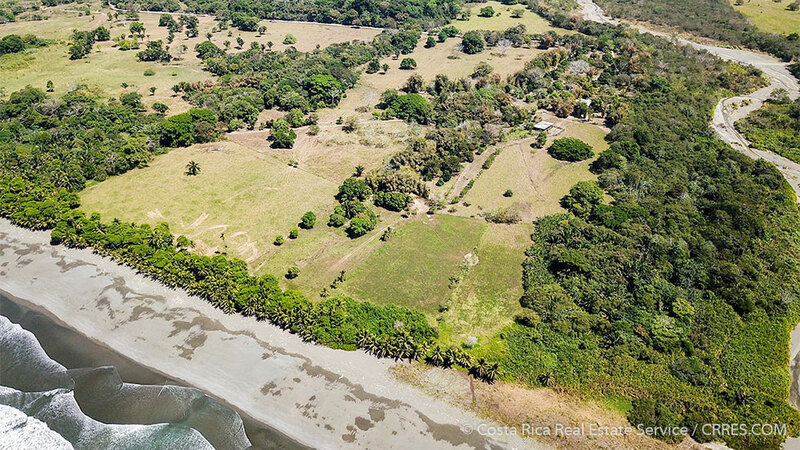 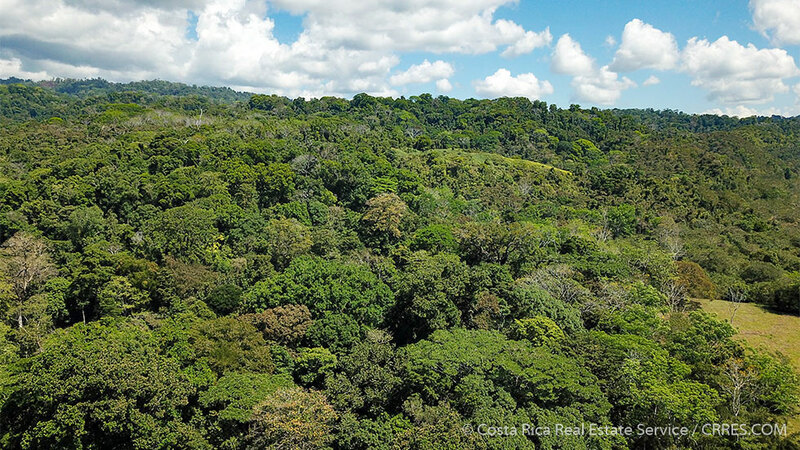 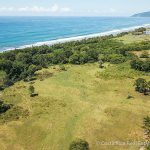 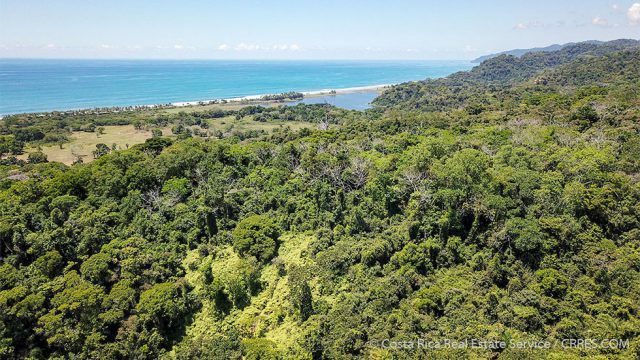 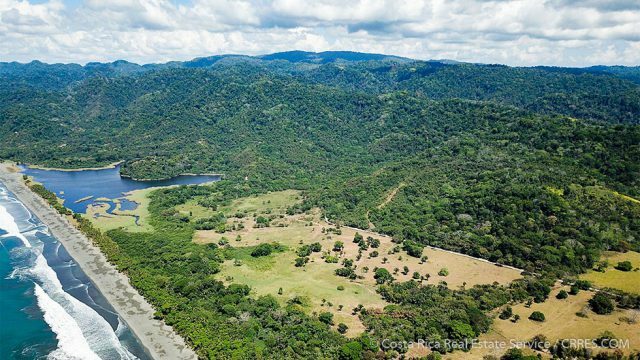 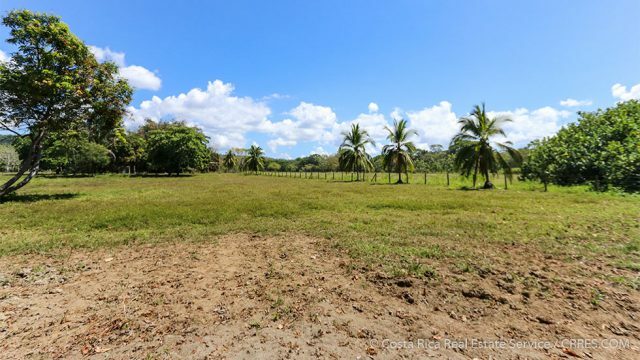 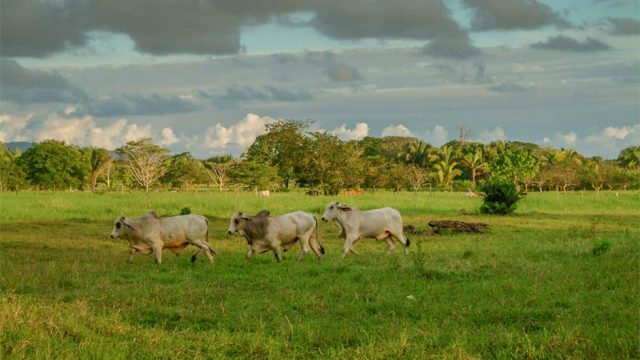 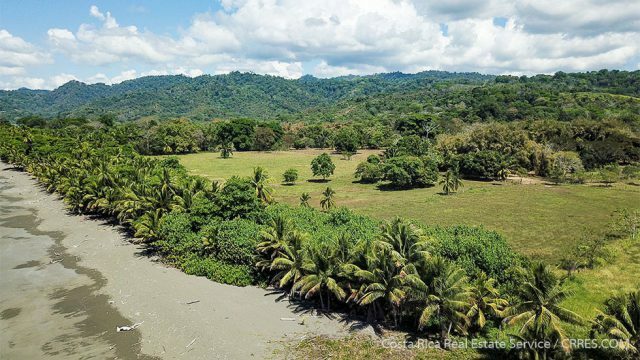 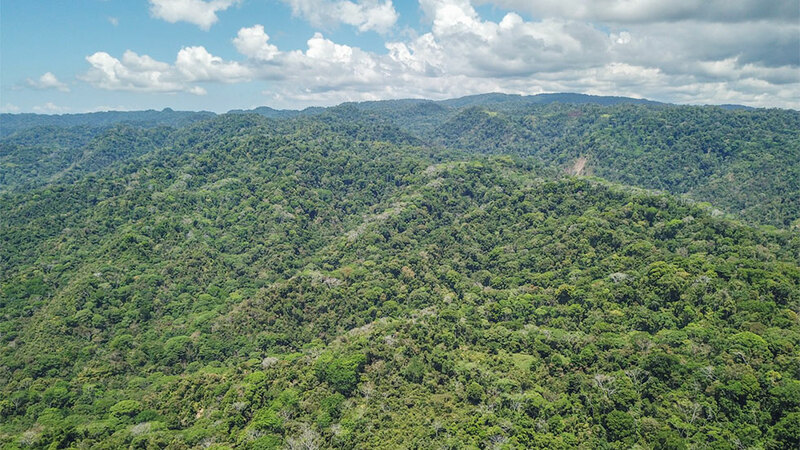 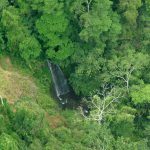 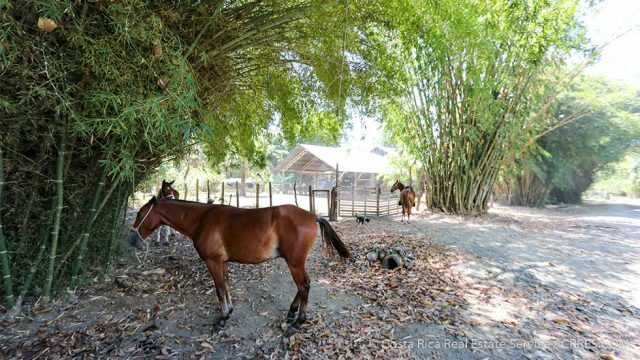 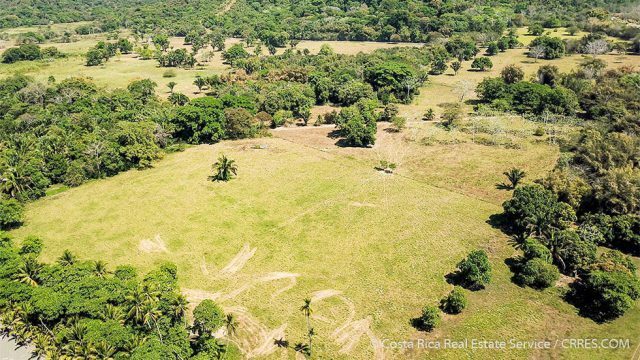 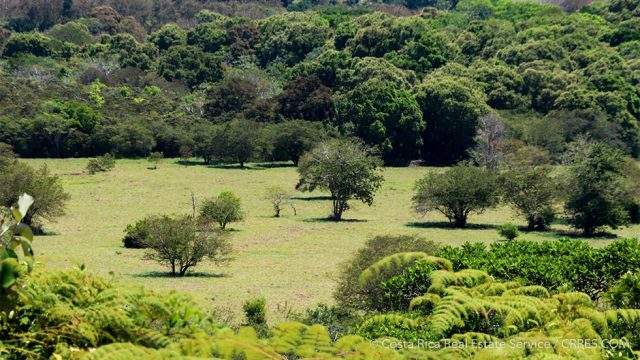 More than 1,400± acres of this property is ancient primary tropical rainforest, and another 1,000± acres (mostly flat land located along the beach) were cleared for cattle ranching decades ago. 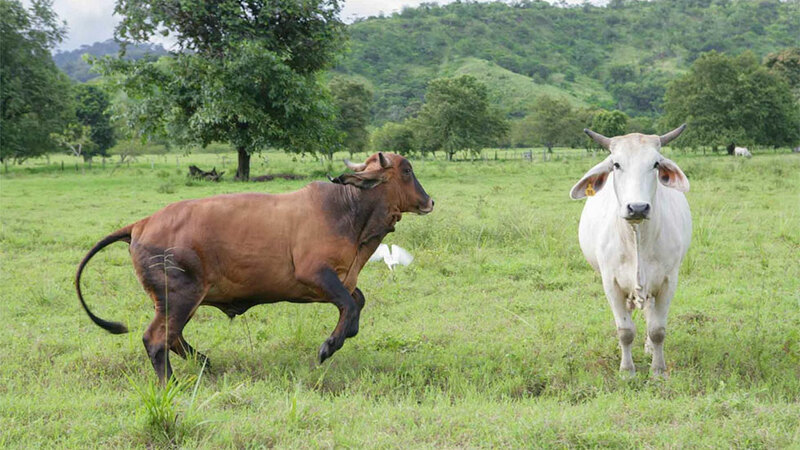 At one point in its history, the farm featured 1,400 head of cattle. 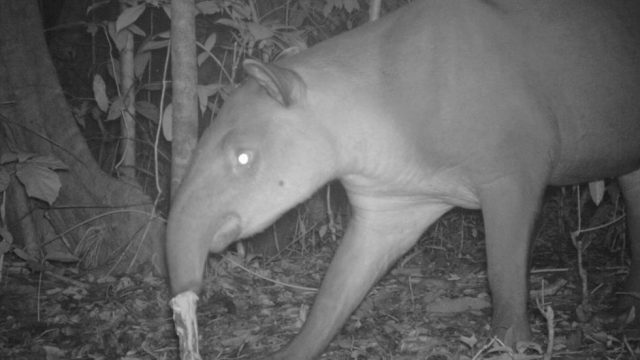 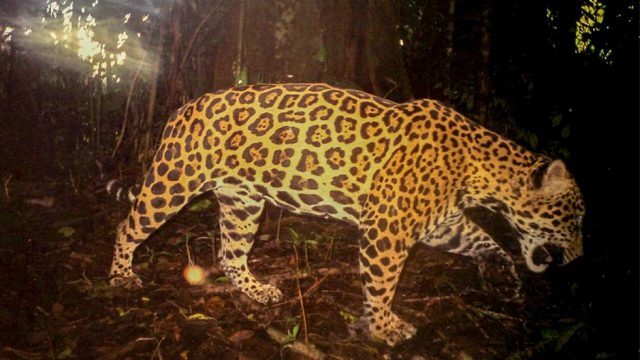 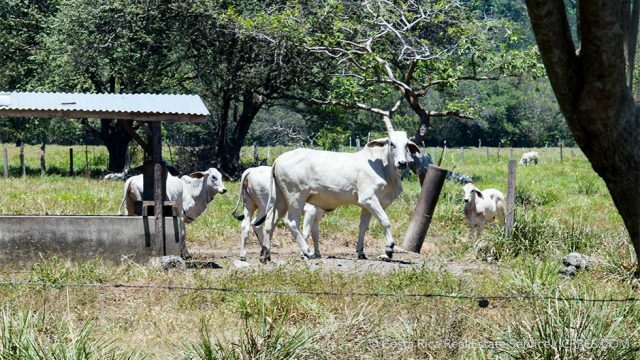 Now that the existing heard has been trimmed down to 300 cattle, native wildlife populating the rainforest have begun to return to the coastal ranch as they use it as a natural migration corridor. 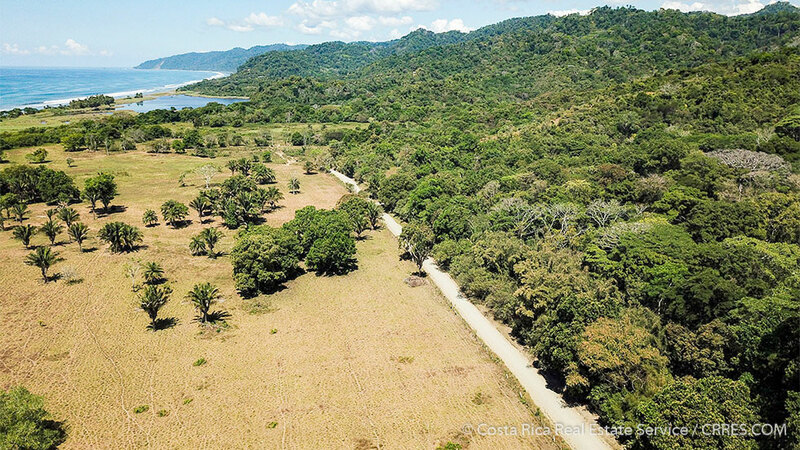 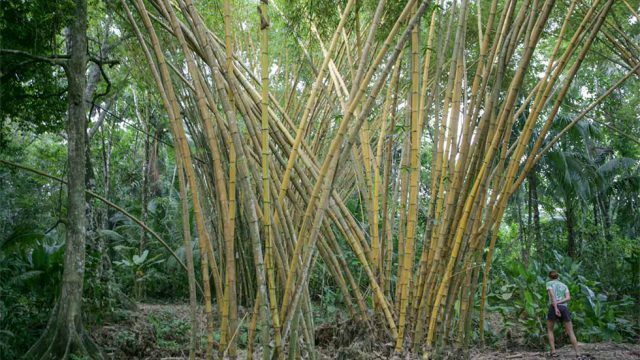 In a reforestation effort, over 20,000 trees were planted, from native hardwoods positioned to reestablish forest corridors, to tropical fruit trees that would provide food for the animals and economy for the human guardians. These trees also provide an understory canopy to facilitate the later growth of native species. 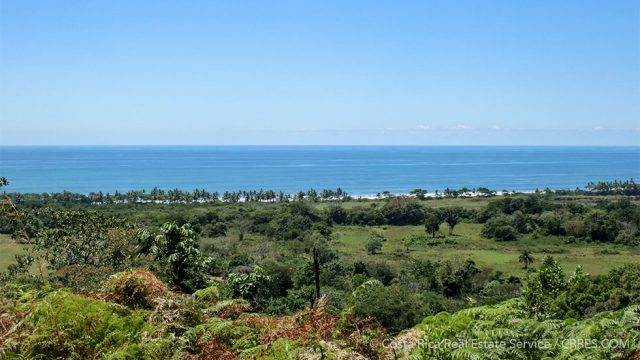 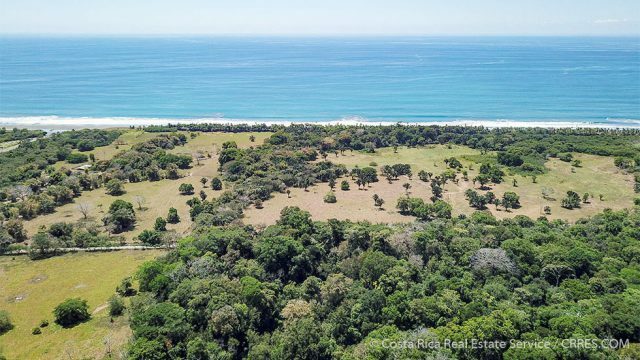 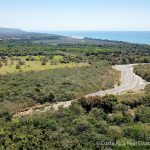 There are literally hundreds of acres with ocean and forest views on which to build, from the beachfront to the mesas. 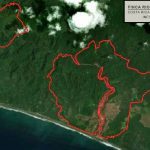 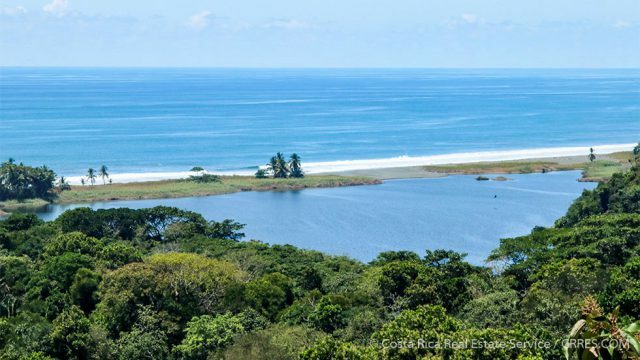 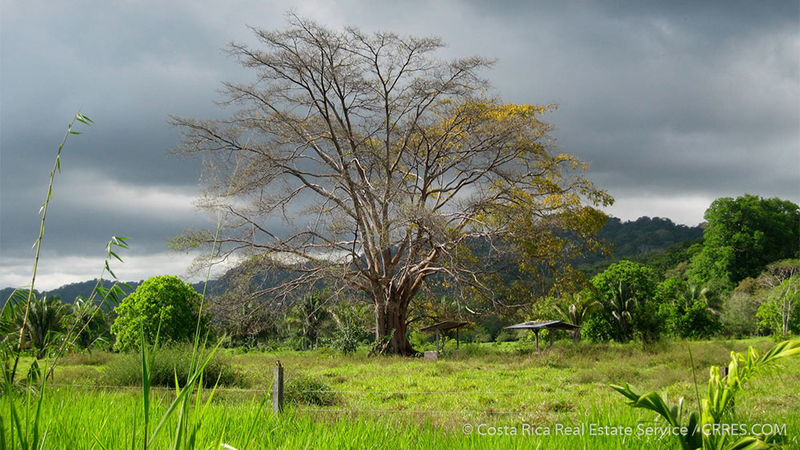 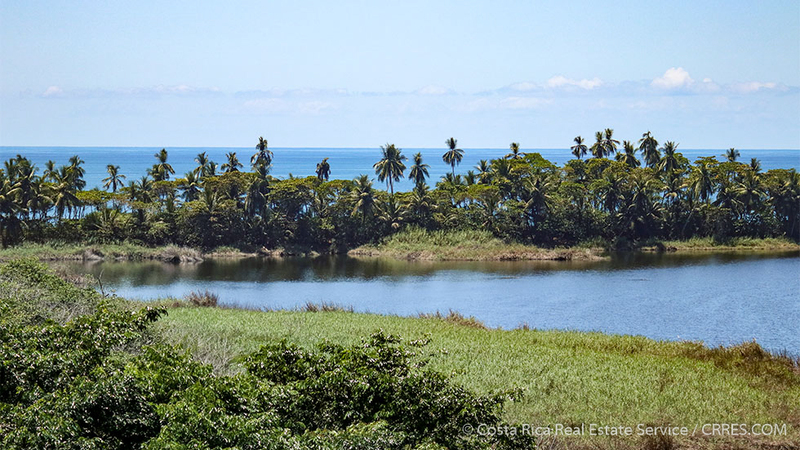 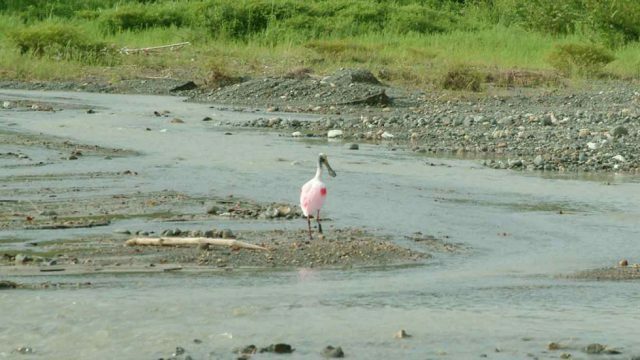 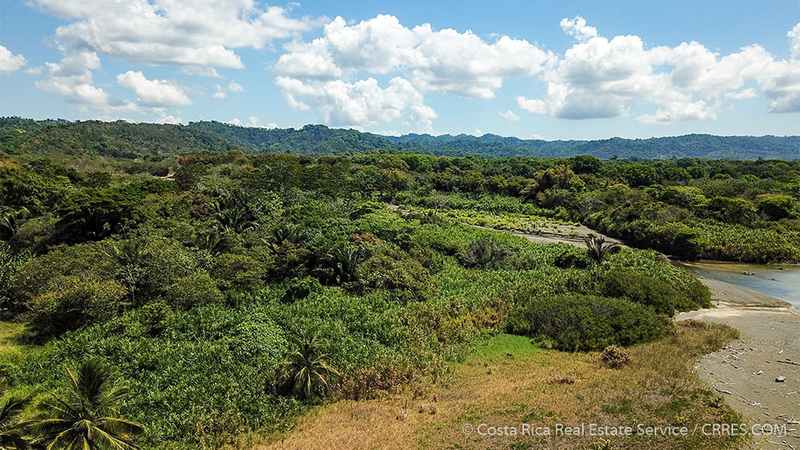 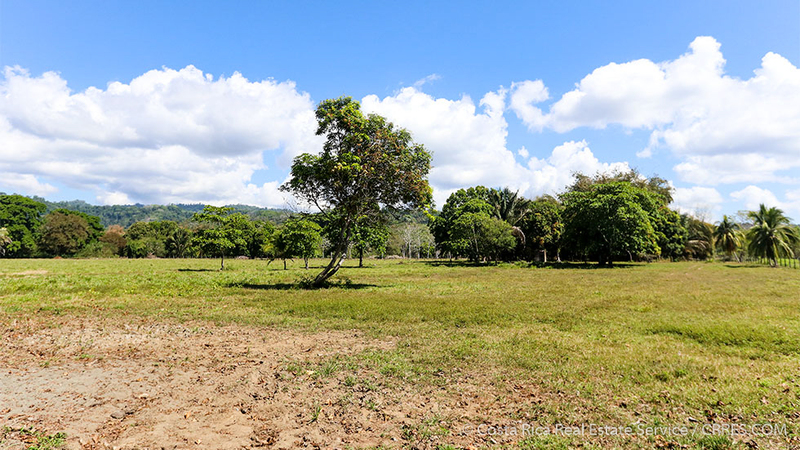 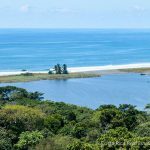 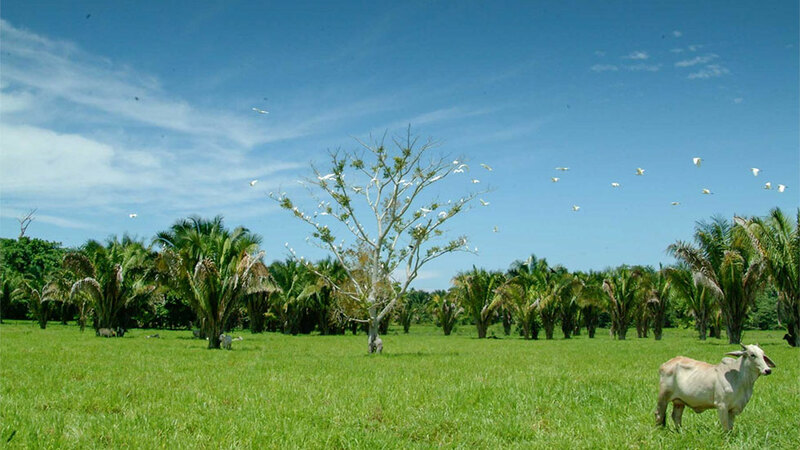 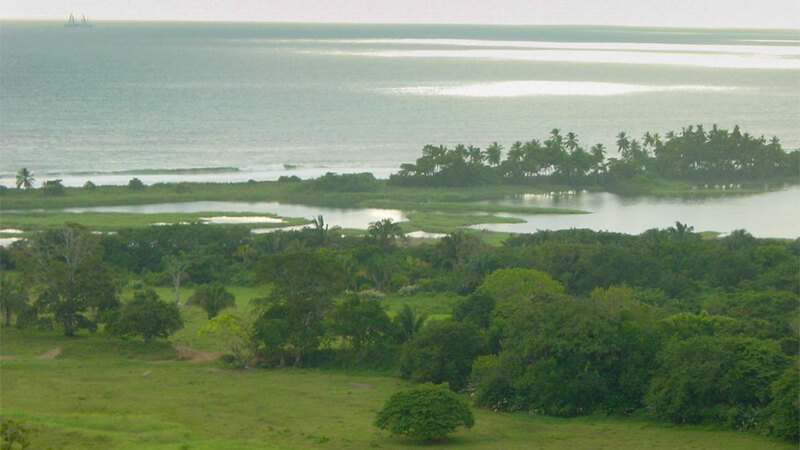 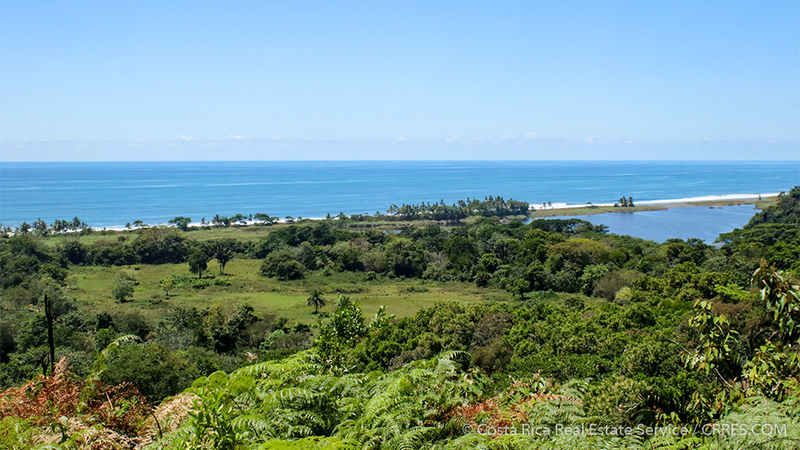 In particular, the mesa on the North side of the Rio Oro is an attractive site: 20ha of ﬂat land with an elevation of 100m – 150m, it commands sweeping views of the sea and lagoons, and looks down on a protected pocket of primary forest ﬁlled with massive Ceiba, Espivel, and Matapalo trees. 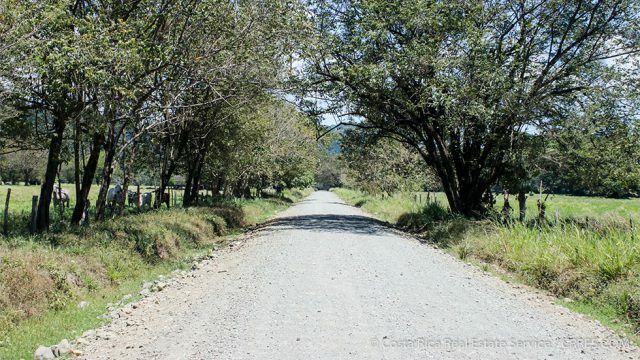 A road was cut that followed an existing cattle path; the cattle were removed, and access is now easily provided. 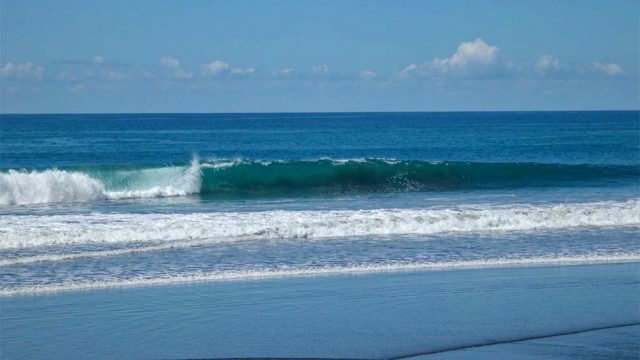 Located about 8 degrees north of the equator, the ocean is largely warm and temperate year-round. 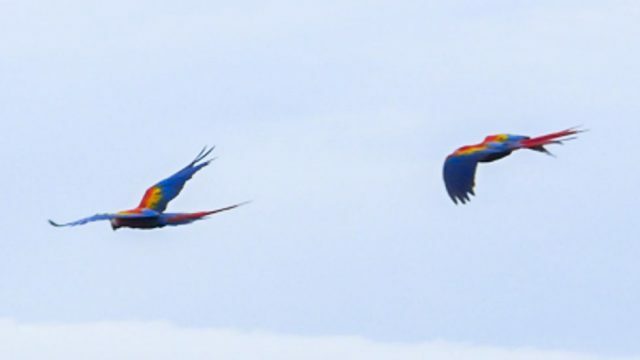 The long stretch of private beach contains sea turtle nesting grounds with colorful scarlet macaws flying overhead. 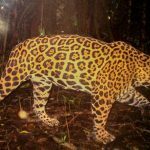 The rainforest zones feature freshwater rivers, majestic waterfalls, and are teeming with wildlife from jaguars, pumas, and four species of monkeys. You can’t ﬁnd anything else like this in Costa Rica, much less a contiguous beachfront property of this size. 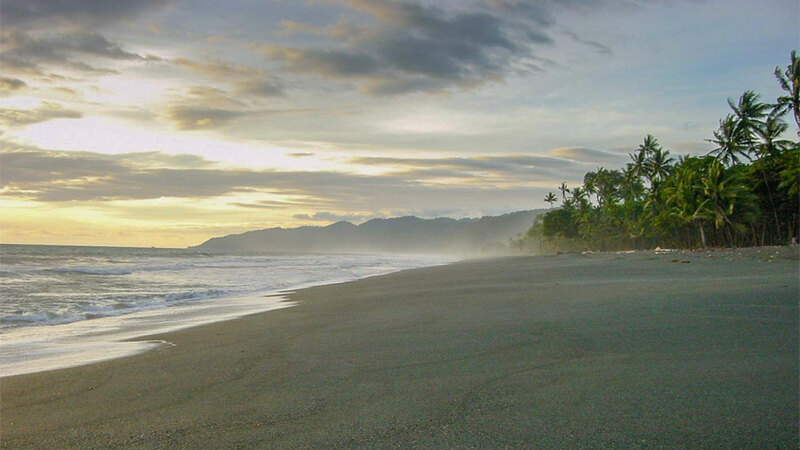 It is, in other words, many people’s idea of paradise. It is no overstatement to declare that there is no property like this anywhere in the world. 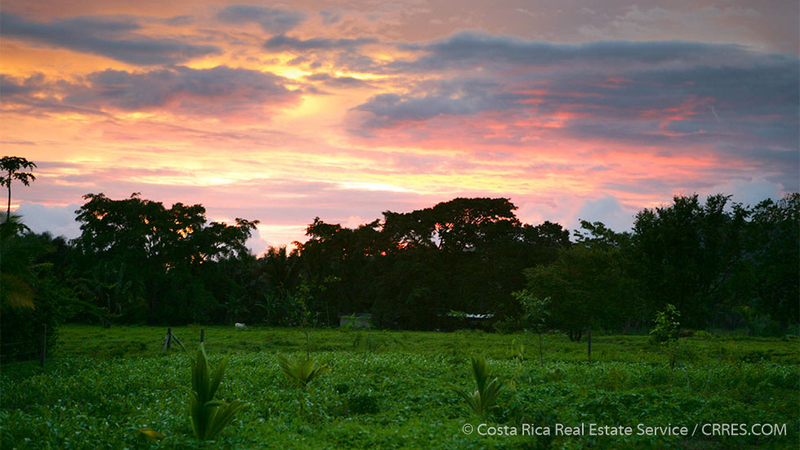 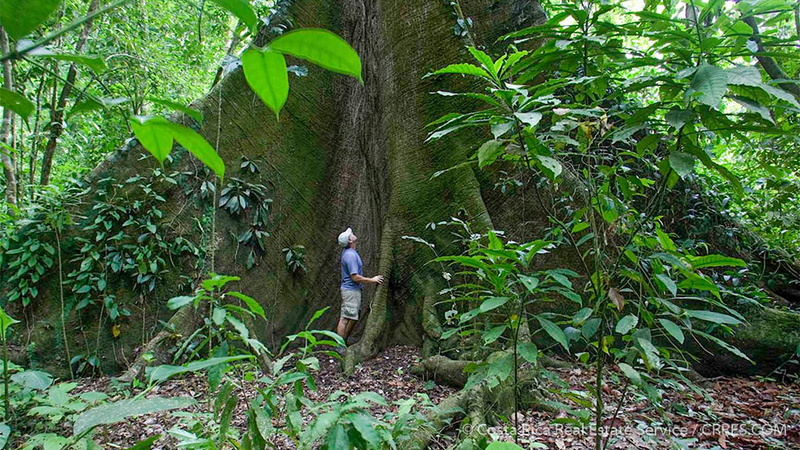 The combination of biodiversity, location, and sustainable development potential is unmatched in the tropical zone. Even within Costa Rica, it is a rare and precious jewel. 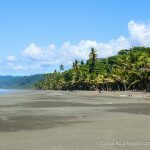 Once you’ve walked on the beaches and looked for miles in either direction without seeing anyone other than the Scarlet Macaws squawking from the almond trees that line the shore, you will know what a special opportunity this is. 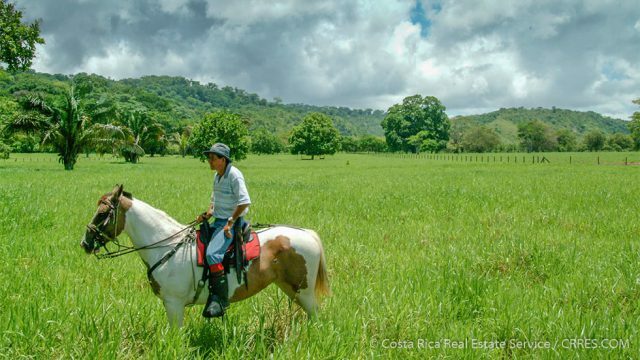 Whether for a corporate retreat, boutique hotel, sustainable development, a private estate and sanctuary, or, perhaps most ideally, a philanthropic effort from a non-profit organization resulting in a wildlife education center for future generations to enjoy – the land and its nature will reward you and your vision. 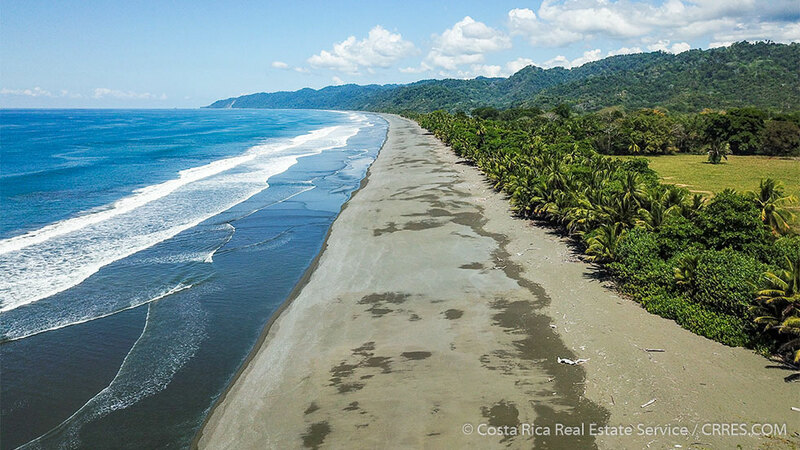 A Executive Report providing additional details about this spectacular beachfront property will be made available to qualified buyers only.